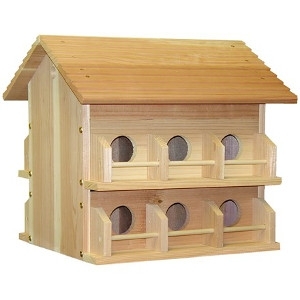 The Cedar Wood Purple Martin House is designed with 12 rooms featuring properly sized entrance holes for Purple Martins. Protective guard rails help protect Martins. Access the inside for cleaning by removing the roof.